Happy Labor Day weekend from "Boca" and, originally uploaded by EcoSnake. And the EcoSnake Team! She hopes you have lots of fun and remember we celebrate Labor Day to honor all who work and fight for decent wages and working conditions. “Boca” thinks this is as important now as in earlier times. 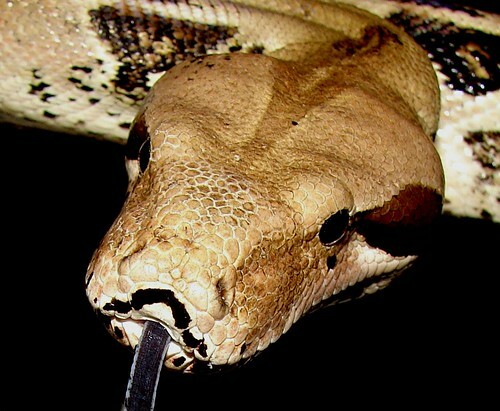 She is a Columbian (Red Tailed) boa constrictor (Boa constrictor constrictor). “Boca” is still an “adolescent,” about six feet long. These boas are native to Mexico, Central and South America.